Between college bowl games and the start of pro football playoffs shortly after that, football is on many people’s minds this time of year. Do YOU have a favorite college or pro football team? What goes through your mind when they win – or lose? Perhaps ABC’s Wide World of Sports said it best, “The thrill of victory, the agony of defeat.” There’s no getting around the fact that sports is a BIG deal to many of us. Sports can generate a high rush of adrenalin, especially when your favorite team is playing an important, long-awaited game. For many sports fans, the adrenalin rush can span through the course of many days prior to the big game and then, leave a feeling of depression or melancholy when the game is over. This is commonly referred to by mental health professionals as “sports depression”, or atypical depression. In fact, after a favorite sporting event is over, sadness, anger, crying, and even disinterest in usual activities is common in the day or two after the big game. For men, in particular, the onset of sports-related depression may suddenly turn to feelings of anger and this can lead to poor outcomes in your interpersonal relationships – even affecting the ability to work or socialize normally. If the depression does not seem to improve following a few days after the game, mental health services may be needed. In most cases, short-term counseling with a therapist – such as an EA professional — is effective as is sleep, exercise, and an improved diet. 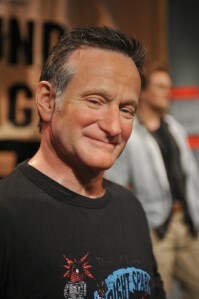 On Monday, August 11, 2014, we lost Robin Williams. He was a brilliant actor and comic… a man most of us grew up with. We knew him as a funny guy, an alien, a genie, a nanny, an inspirational teacher, and so much more. We also knew he struggled with depression, addiction, and possibly bipolar disorder. The cancer prevention movement has been so effective in getting people involved — in prevention, in fundraising, in advocacy. Now many people — whether or not they’ve been directly affected by cancer — Stand Up in solidarity to help fight the battle. They stand shoulder to shoulder with people who are fighting for their lives? They stand to honor those who’ve passed with dignity. They got people like Robin Williams to lean in, and say “I care. What can I do to help?” The suicide prevention movement can learn a lot from the successes of the cancer prevention movement. 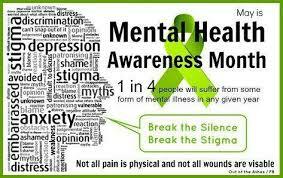 T his is the fifth and final post in May to commemorate Mental Health Awareness Month. 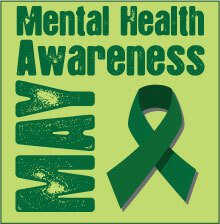 Mental Health America’s website at http://www.mentalhealthamerica.net/may has scores of ideas to help make people more aware about the importance of good mental health. Conventional wisdom has long held that people with psychiatric disabilities can’t handle the stress of well-paying, responsible careers. However, research is finding that people with bipolar disorder, major depression, schizophrenia, and other major mental illnesses are pursuing, finding, and retaining successful professional positions. Here are some examples. 1. A psychiatric disability doesn’t automatically put a cap on a career. Research indicates that there is no significant relationship between diagnosis and educational attainment, income, status, type of job, or current employment. Having a major mental illness doesn’t have to stand in the way of working full time, earning an advanced degree, holding a significant job, or assuming increasing amounts of responsibility at work. Of course, the individual may have to work harder to achieve his or her goals, but they aren’t out of reach just because someone is diagnosed with a disability. 2. 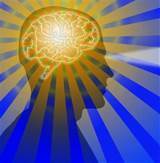 People with psychiatric disabilities have been successful in all types of careers. Naturally, many consumers of mental health services go on to work in mental health self-help and advocacy, but this isn’t the only field that’s open. Others work in a wide range of health and social services positions as well as technology, sales, and other non-helping professions. 3. A psychiatric disability doesn’t have to keep the individual at the bottom of the corporate ladder. An estimated 18% of participants in a Center for Psychiatric Rehabilitation study have “executive-level” jobs; CEO, president, or another position with primary responsibility and control over resources. Still more are middle managers. 4. Successful treatment is an important part of achievement. Many individuals have been hospitalized and continue to take psychotropic medications and/or see a therapist – but that hasn’t prevented them from harnessing their drive and desire to succeed. Being treated with a psychiatric disability shouldn’t hold someone back. In fact, it might even make it possible for the individual to go farther than ever before. Source: Center for Psychiatric Rehabilitation, Boston University. http://cpr.bu.edu.